The Cat's Meow participated in the International Championship of High School A Cappella (ICHSA) on Feb. 1st. The event was held at Washington University in St. Louis. The group performed a 12 minute set list including three songs: “This Is Gospel” with soloist Keely Crossgrove, “Hollow” with soloist Morgan Langford, and “I Need Your Love” with soloist Cadrian Hutsell. They didn't place this year, but received their highest score yet! 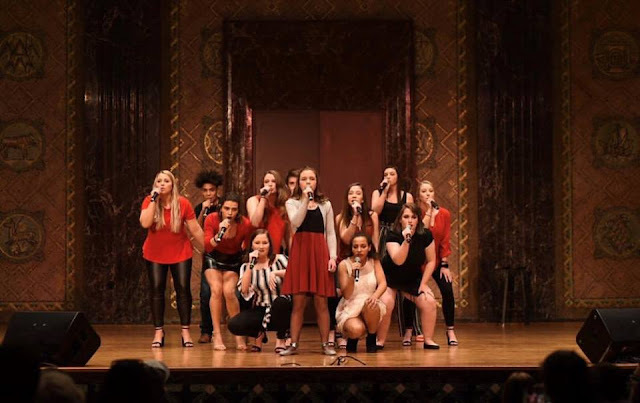 Members of The Cat's Meow include: Grace Bonnell, Keely Crossgrove, Ayla Fike, Lexi Hadix, Athena Hood, Cadrian Hutsell, Morgan Langford, Kasen Monds, Kaleena Scheer, Ripleigh Sullins, Shakoda Swaringim, Dameun Williams and Shakirah Williams.